Cartography site mapsbynik has created Nobody Lives Here, a fascinating map based on 2010 Census data that highlights the surprisingly common blocks in the United States that report having no population. 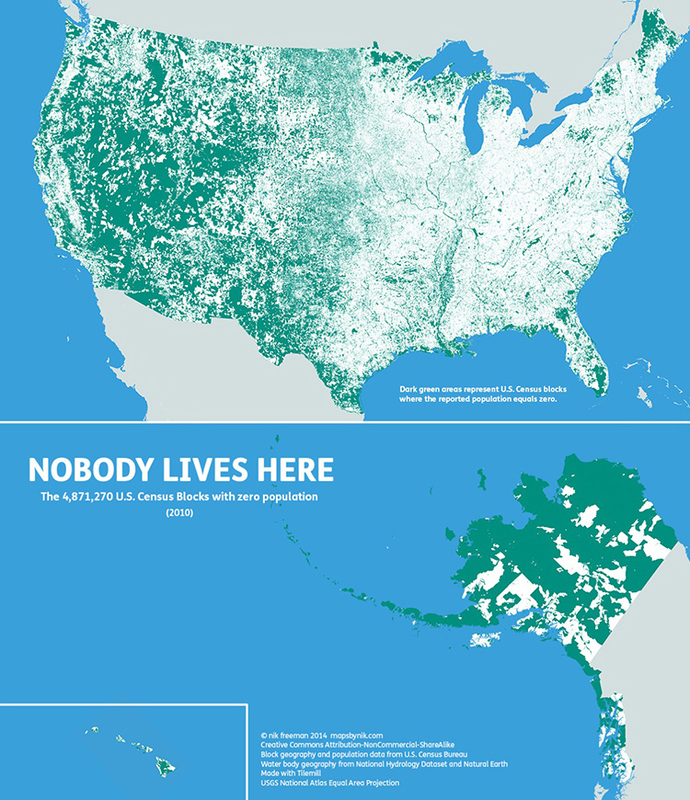 In all, the zero population covers 4.61 million square miles of the US, which is around 47% of the country’s land mass. The site is also selling a framed print of the map.